Here at Bank of America Winter Village Skating Rink, we love watching the skaters glide weightlessly along the ice. Even more fun, though, is checking out the various ways that the skaters personalize their skates, whether rented from us ($15 per person) or brought from home. Below is a selection of the most creative skates we've spotted this year. We saw a range of decorations on skates that people brought from home. This pair of skaters opted for bright neon laces to jazz up dark skates. We love the pink and green! Many skaters attach plush characters from TV shows onto their laces. 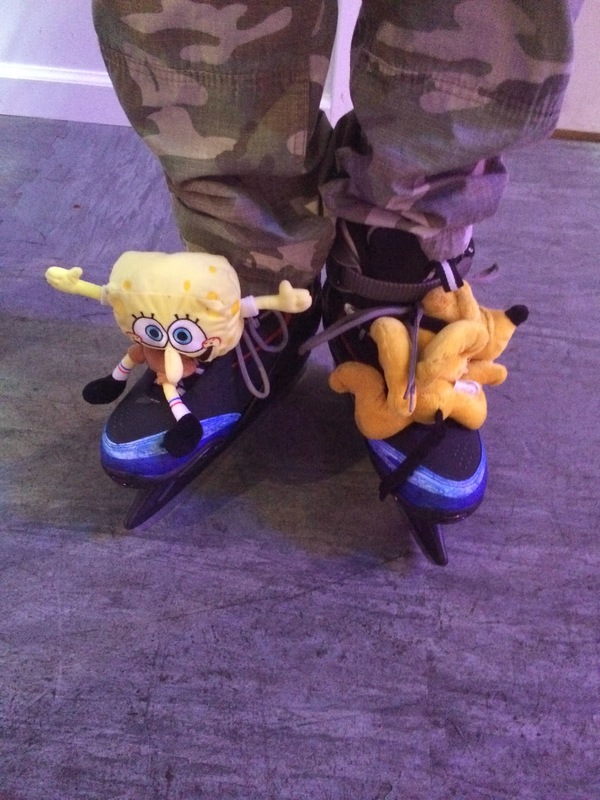 This skater chose Nickelodeon's Spongebob and Disney's Goofy. These characters from Comedy Central's South Park should feel right at home on the ice, since they are already dressed in parkas! The skater picked these characters because they are his favorites from the show. This skater opted for a different matching pair of TV characters. We hope he bought Cookie Monster a cookie at Ice Bites after the skate session! 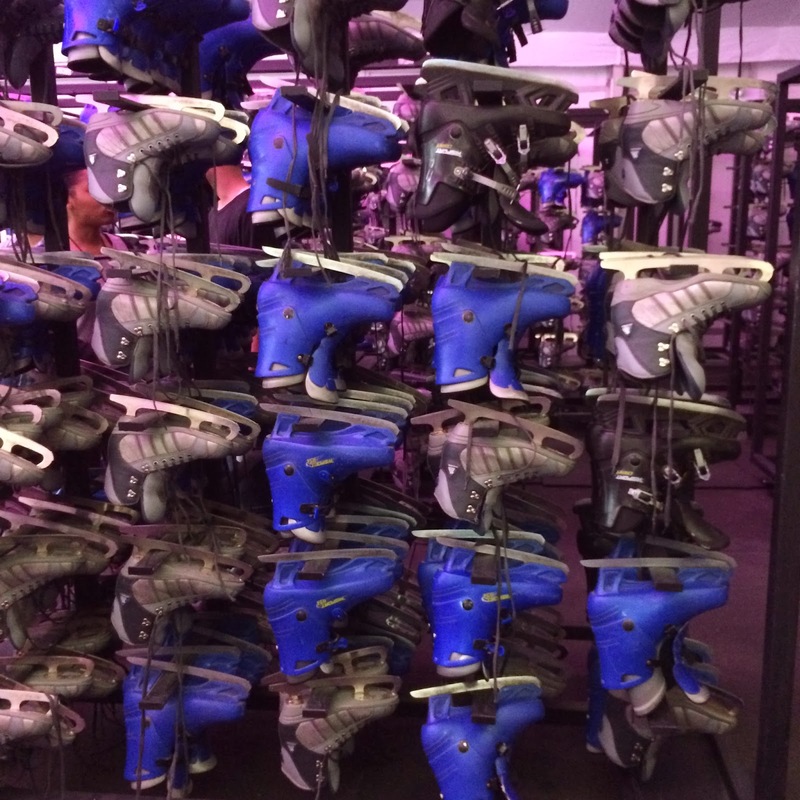 But we were also impressed with fashions on our own skates. This skater threw a pair of leg warmers over funky leggings for a comfy skate session in her rented hockey skates. Have you seen other stylish skates at the rink? Tell us or post a picture in the comments below!